Iran says S-300 air defense system now ‘operational’ – Coercion Code – "Dark Times are upon us"
Iran’s advanced S-300 air defense system, delivered by Russia following a July 2015 nuclear deal after years of delay, is now operational, state television reported on Saturday. Iran had been trying to acquire the system for years to ward off repeated threats by Israel to bomb its nuclear facilities, but Russia had held off delivery in line with UN sanctions imposed over the nuclear program. “The S-300 air defense system has been tested… in the presence of government and military officials,” the television said. It said that the test at a desert base had seen several targets, including a ballistic missile and a drone, intercepted. 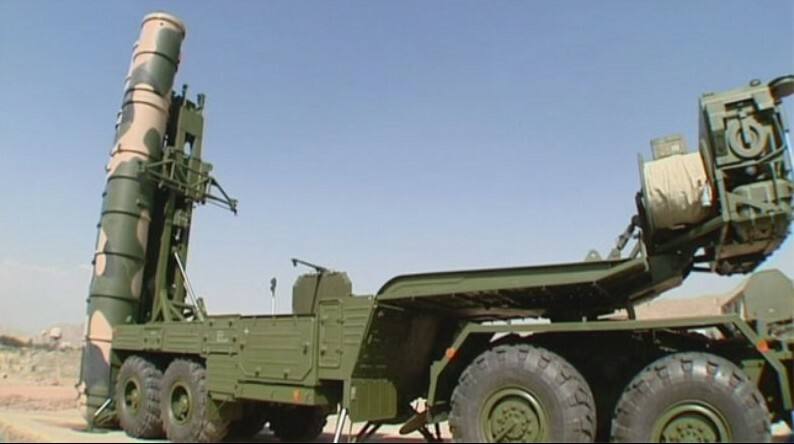 Air defense commander General Farzad Esmaili told the television that a domestically manufactured air defense system dubbed Bavar 373 which was “more advanced than the S-300” would be tested very soon. “The S-300 is a system that is deadly for our enemies and which makes our skies more secure,” he said. Iran’s activation of the defense system comes amid mounting tensions with the new US administration of President Donald Trump, who imposed sanctions after Iran tested a medium-range ballistic missile in January. The deal to buy the S-300 system was originally signed in 2007 but Russia suspended it in 2010 citing a UN ban on arms sales to Iran. In August, state television aired footage of the system being installed around the Fordo nuclear site in a mountain near Qom, south of the capital. The Israeli Air Force has trained for a scenario in which it would have to carry out strikes in Syria or Iran on facilities defended by the S-300. In a 2015 interview, IAF commander Maj. Gen. Amir Eshel said the S-300 was a “significant but not insurmountable challenge” for the IAF.